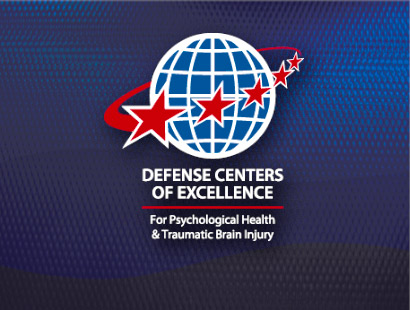 This webinar series is designed to support the efforts of the Defense Centers of Excellence for Psychological Health and Traumatic Brain Injury (DCoE) to improve the psychological health and traumatic brain injury system of prevention and care. This training presentation will provide guidance on selecting evaluation designs and questions to meet a program’s evaluation goals. In addition, it will describe important considerations for selecting measurement strategies and metrics. Topics will include evaluation design, key concepts in measurement, choosing what to measure, measure selection and development, and common challenges that program personnel face when implementing measurement strategies. **IF YOU ARE A NEW USER, PLEASE BE SURE TO CLICK ON THE "PRE-REGISTRATION QUESTIONNAIRE" LINK AT THE BOTTOM OF THE PAGE BEFORE COMPLETING THE REGISTRATION PROCESS, THEN PROCEED TO FOLLOW THE STEPS BELOW. Scroll down to the bottom of the page and click on “Take Course” and/or "Pre-Registration Questionnaire"
Once you have completed the "Pre-Registration Questionnaire" you will click on the link titled "This course is a dependency of " Planning for Program Evaluation: Develop Evaluation and Measurement Strategies" which will return you to the course landing page. Click on Take Course, you are now registered for the course. Upon completion of registration, a confirmation email will be sent providing webinar event details. IF YOU HAVE DIFFICULTY REGISTERING, PLEASE CONTACT THE SERVICE DESK AT, 919.668.8916. Click on the Webinar icon for Adobe Connect provided on the screen. where you may request entry as a guest (please use your full name). The webinar window will then appear on your screen. Login as a guest to view the webinar. Audio will be provided via Adobe Connect. Attest to your hours of completion. Continuing education credit is available from Duke Medicine. You must register on or before 3 p.m. (EST) on Feb. 17, 2015, to qualify for receipt of continuing education credit. DCoE’s awarding of continuing education credit is limited in scope to health care providers who actively provide psychological health and traumatic brain injury care to U.S. active-duty service members, reservists, National Guardsmen, military veterans and/or their families. For additional details, please visit http://www.dcoe.mil/Libraries/Documents/DCoE-Monthly-Webinar-Series-Continuing-Education-Accreditation-April-2014.pdf.